I've been spilling details about Jake's new explorer room here on the blog lately. 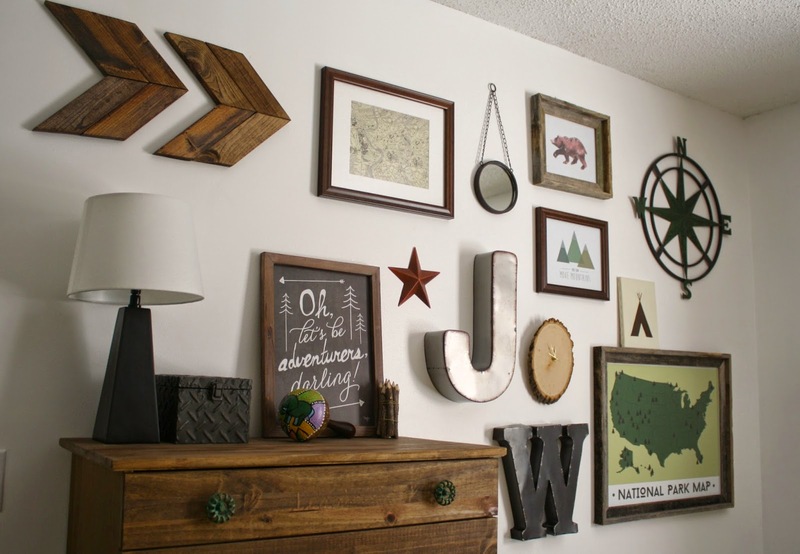 And in typical fashion, there were a lot of DIY projects included in the space. I love these! They were ideal for his room but would fit really nicely in any rustic space. And they are super simple to make. I used 1x2's, but gauge yours to whatever size wood you'd like to use. 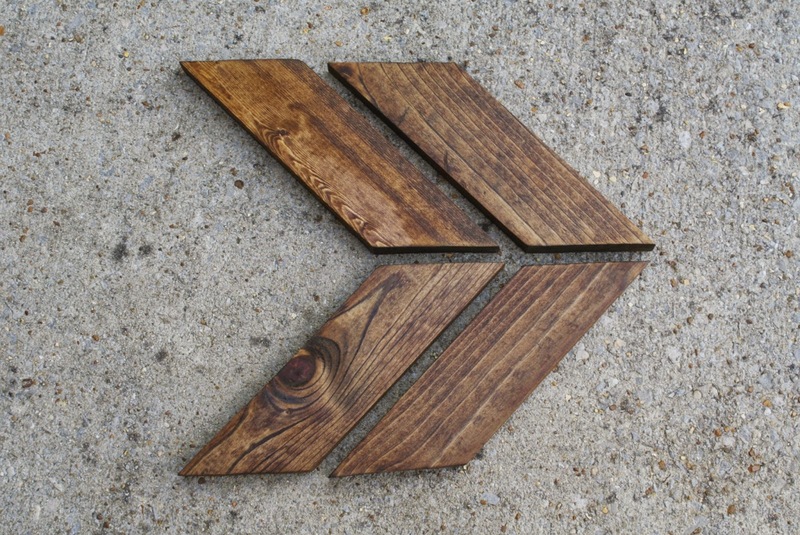 You'll need four small cuts of wood to create each arrow. 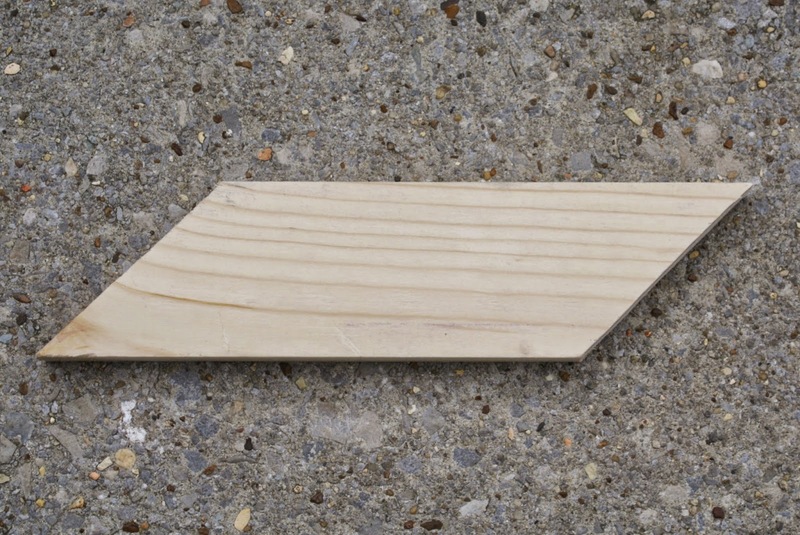 I cut my 1x2 board down to four 6 inch pieces for an arrow pictured above. 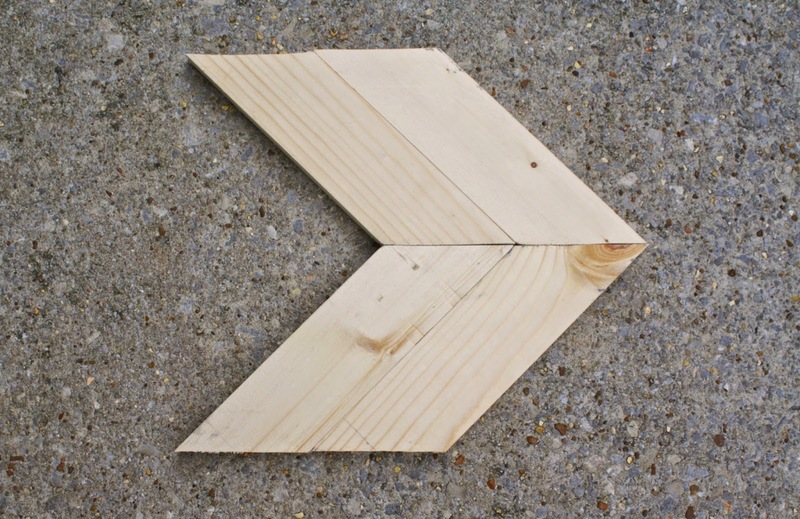 Cut the edges of each piece at 45 degree angles, pointed in the same direction. Before you connect these four pieces, do whatever staining or painting that you'd like. Lastly I used small metal plates to hold the pieces together while still allowing the back of the arrow to lay flat against the wall. 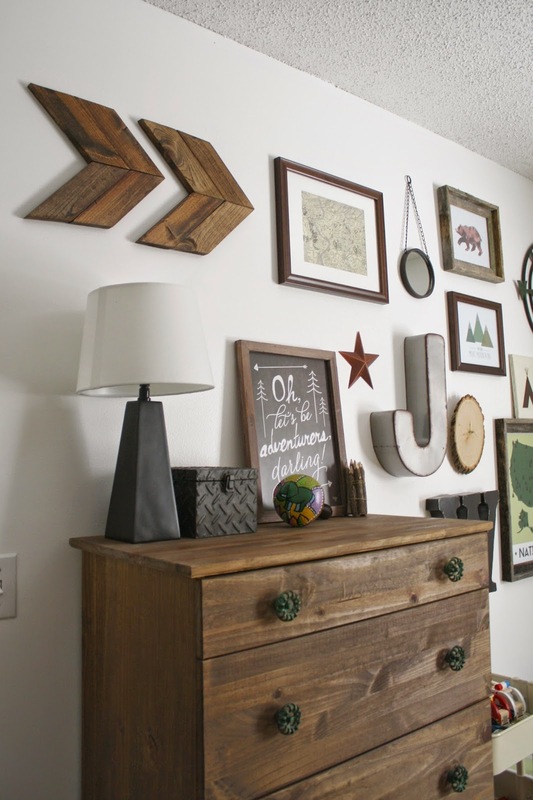 I also added a little zigzag picture hanger to the back to hang it. And there you have it! 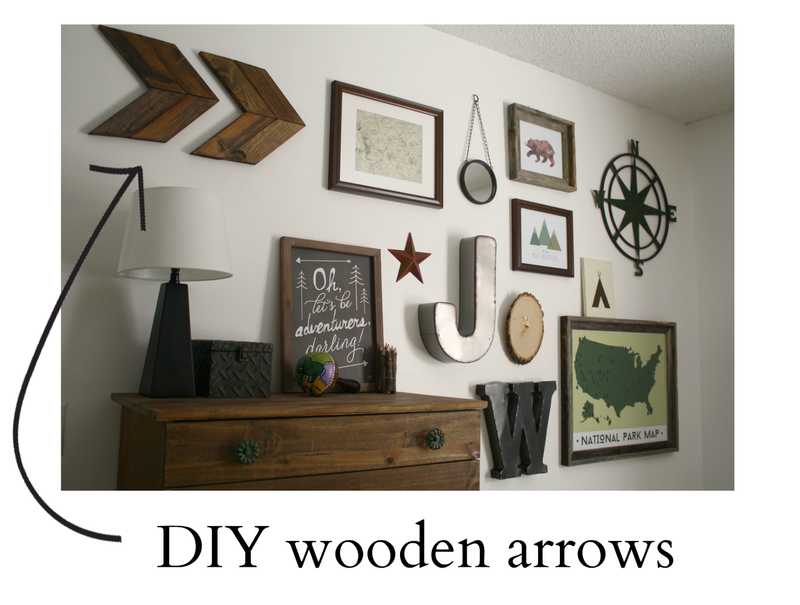 Simple wooden arrows to add to any space. I liked that we used the same stain for the arrows as the the dresser. It really pulls some of that wood coloring together amidst all the stuff happening on that wall. 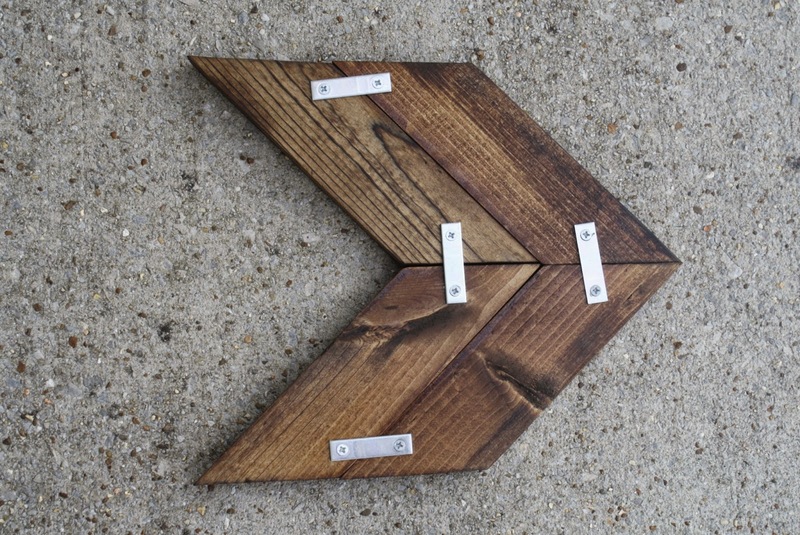 There are also a lot of great options for painting or distressing these arrows. Perhaps even painting a tribal pattern on them! I love projects that can be manipulated in so many ways! Enjoy! well that's my kind of DIY! Fast and inexpensive! I do happen to have a mitre saw, so it's so fast to make these cuts! Thanks!